If you’re living in or around the Garden State and visit our car dealerships in NJ right now, you’ll surely find the impressive line of 2018 Toyota vehicles that have recently hit the market. Toyota has built a trusted reputation by producing reliable and safe vehicles for drivers to own. 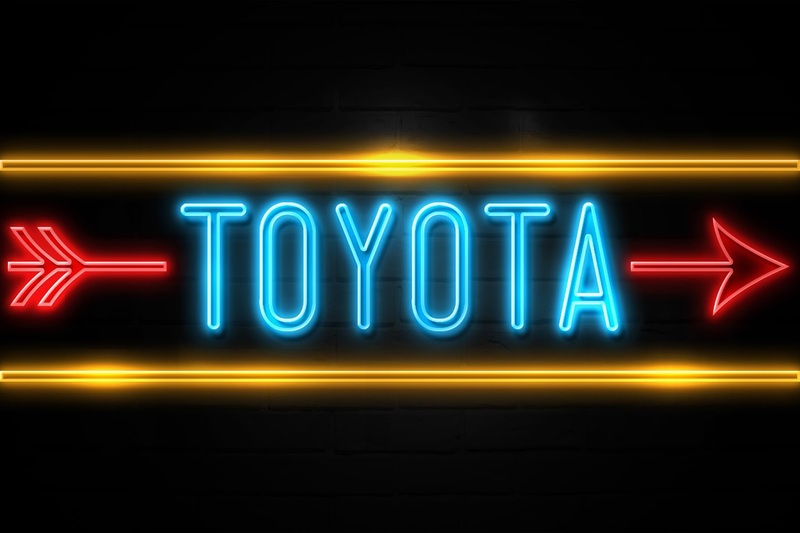 The Japanese automotive manufacturer has continued its success with its 2018 line and we’re here to highlight some of the specs and features of some of Toyota’s most popular vehicles. The 2018 Toyota Corolla has a starting manufacturer’s suggested retail price (MSRP) of $18,550 and gets an estimated 28 miles per gallon when driving around town and 36 miles per gallon when on the highway. These vehicles come with Toyota’s standard pre-collision system with pedestrian detection, as well as standard lane departure alert with steering assist and standard automatic high beams. This vehicle also comes equipped with standard dynamic radar cruise control. The 2018 Camry comes with all the same Standard Toyota Safety Sense features as the Corolla, but this fuel-efficient car is even better on gas and slightly more stylish. The 2018 Camry has a starting MSRP of $23,495 and gets an estimated 29 miles per gallon when driving locally and 41 miles per gallon on the highway. The Camry’s new exterior design also makes it one of Toyota’s most attractive new arrivals. Details such as the sporty side rockers and integrated rear spoiler help add to the car’s fuel efficiency. The Tacoma is Toyota’s smaller truck of its two options and the 2018 model is a thing of beauty. Starting at $25,200 MSRP, this truck gets an estimated 18 miles per gallon or up to 22 miles per gallon on the highway. With four-wheel drive and V6 engine options available, this truck comes in SR, TRD Sport, and Limited editions. Some of the features that can be found this year include the TRD Pro skid plate, the heritage-inspired “TOYOTA” front grille, and Rigid Industries LED fog lights. If you’re looking to go a little bigger than the Tacoma, a Toyota Tundra could be right up your ally. Getting an estimated 15 miles per gallon regularly and 19 miles per gallon on the highway, this full-sized truck has a starting MSRP of $31,120. SR5, Limited, and Platinum editions are available, which all include a double cab and V8 engine. This truck’s new TRD Sport styling equips it with a new honeycomb-style grille, sport-tuned suspension, LED headlights, and a TRD Sport shifter. For those looking for a mix between sport and utility, the 2018 Toyota RAV4 is the answer. This crossover is built for your weekend escape and gets great gas mileage for its size. RAV4s get an estimated 23 miles per gallon when driving locally and 30 miles per gallon during highway driving. Its starting MSRP is $24,410. The RAV4 is available in all-wheel drive and comes in LE, LE Hybrid, and XLE editions. Also, check out the RAV4 Adventure model if you’re interested in more outdoor excursions. Combining power, versatility and utility, the 2018 Toyota Highlander makes for a great family vehicle and can be a sizable everyday driver that won’t leave you spending all of your money on gas. Starting at an MSRP of $31,030, the Highlander gets an estimated 21 miles per gallon around town and 27 miles per gallon on the highway. The LE, SE, and Limited models are all front-wheel drive some of this SUV’s interior features include: USB ports, seating for up to eight people, plenty of cargo space, and a panoramic moonroof.